Caregiving Because We Care, LLC was founded in 2006 out of a need for personalized senior assistant care in the Leavenworth, KS area. Our company is locally-owned and operated by lifetime residents of the Leavenworth community. We've assisted hundreds of loved ones and friends over the years with one-on-one care "with outstretched hands and caring hearts". 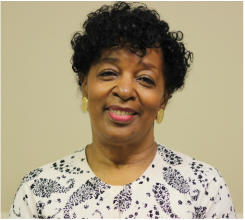 Carol Rathman, owner of Caregiving Because We Care, LLC, has more than 20 years of experience in the care giving business. She owned and operated two group homes for seniors - one in Leavenworth for 15 years and one in Atchison for 13 years.